My name is Casey Winters, and I grew up on a healthy diet of Star Wars, Zelda, and nerdy cartoons: Batman, X-Men, Ninja Turtles. I still play with action figures. And before I was married, I slept beneath my parents' stairs Harry Potter-style. I graduated college last year with a degree in English/creative writing, and I also became a dad. I work as a book editor for a publishing company, and I'm currently writing a book for young readers. Feel free to check out my blog, where I talk about robots, beards, and never growing up. 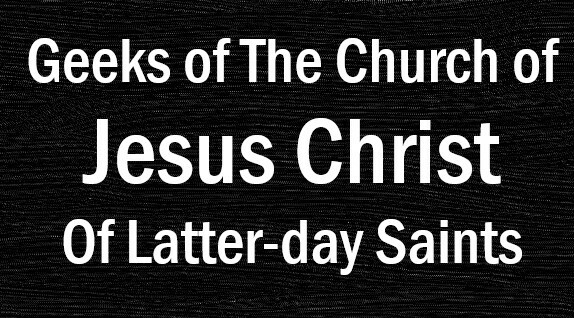 I found Mormon Geeks a few months ago, when I was thinking about the effect my love for escapism was having on me, for good and bad. With a dash of Google and a few pounds of divine intervention, I stumbled upon Stephen's 2012 post, Escaping Escapism. His post is spot on, and I've re-read it multiple times. This post takes inspiration from that one. 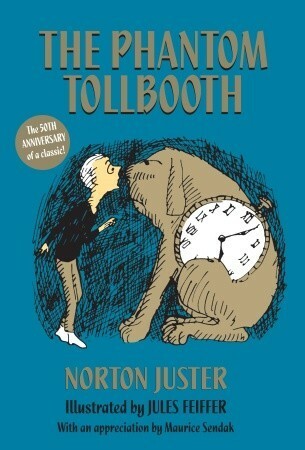 If there is one book that encompassed my childhood, one book that I was compelled to read every year, it was The Phantom Tollbooth by Norton Juster. I think we all have one story that we feel is our own. The Phantom Tollbooth is mine. Its play on words and phrases is perfect for the budding language geek, and its growth of the main character, Milo, is something I've carried with me since the first time I read it. "When he was in school he longed to be out, and when he was out he longed to be in." I wouldn't call Milo an escapist or geek until the end of the story. In fact, he's mostly bored with life rather than over-stimulated, but there's still a connection here. Milo exemplifies a weakness I believe many geeks face if our escapism isn't kept in check—the disregard of the present. I like to call it the "Milo Complex" (because it sounds official). 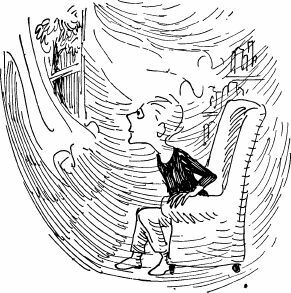 In a lot of ways, I'm Milo at the beginning of his story, not because I'm bored, but because I have a problem focusing on the present. I'm looking either backward or forward. Is it possible geek life can compound this weakness? Escapism is arguably the biggest double-edged sword geeks face: it can be one of our greatest blessings, but it can also affect us negatively. We spend most of our "geek time" within other worlds. With our tendency to be passionate about specific subjects, and to spend much of our time in introspective pursuits, we can easily lose our balance in reality and in the present moment. Escapism can affect our life negatively even when we aren't in that other world. And lately I feel like I'm in this negative space. I love both fantasy and science fiction. This means at any given time I might be escaping into some speculative world. But this can easily bleed into real life. At times I find myself thinking about a book I just read or a movie I just watched at the expense of the present conversation or activity. Or perhaps I'm always looking ahead, hoping for the next moment of free time to dive into one of these worlds. I am Milo. I also get nostalgic easily. Every couple of months I have a “nostalgic trip,” where suddenly I'm on Facebook, looking at pictures of “the good old days.” Not only am I looking, but I find myself wishing I could go back. The worst part is my present life is not depressing. I have much to be grateful for. I know how foolish and sad it is to lose sight of the present. I'm ashamed that I would neglect my life and family in the present in favor of nostalgia of a long-gone past or in anticipation of a fictional future. But if I let it, the combination of living in other worlds and my natural disposition to daydream can be a spiritually and emotionally deadly cocktail. I don't intend to say all geeks are like this. I'm merely using my life as an example of this inability to focus on the present. Chances are you face some similar weakness. 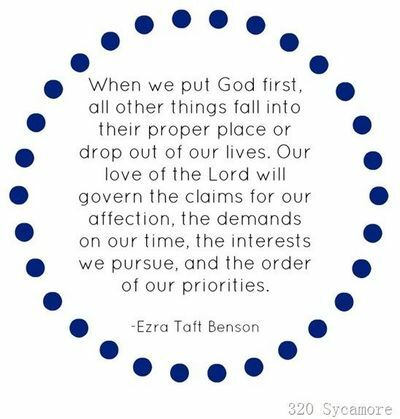 A separate-but-related weakness I find myself sinking into over and over again is losing sight of my priorities. I forget to put God first. And I've been wracking my brain for ways to do it. 5. What else is left? Eating? This list killed two birds with one stone. (Or, two mynocks with one laser? Sorry, had to.) In any given situation, I've asked myself what number the present moment falls into. And setting it up as a list magically reminds me what my priority is. For example, let's say I'm spending time with my wife and son. I think, "That fits into number 2." The real magic comes from realizing, "This moment is not number 4," which means I've turned off the pop culture-focused thinking. Instead I'm there, in the present. "When he was with family, he was happy to be with family, and when he was out, he was glad to be out." He said, “Living now.” Whatever you're doing, be present, give it all your attention. "Doesn't it seem foolish to spoil sweet and joyful experiences because we are constantly anticipating the moment when they will end? "Do we listen to beautiful music waiting for the final note to fade before we allow ourselves to truly enjoy it? No. We listen and connect to the variations of melody, rhythm, and harmony throughout the composition. "Do we say our prayers with only the 'amen' or the end in mind? Of course not." I think this thought applies directly to this post in many ways. Do we live our lives ignoring the present because we can't wait to escape? I'm not condemning escapism, nor am I saying geekiness is a switch that can be turned on and off so easily. In fact, I think this is what makes us unique. It's something we should embrace, as long as we find the right balance with reality. It's all a matter of focus. So let me end on a positive note about all of this: We geeks are an important breed. We're the dreamers. We're the creators. We live in stories because stories are important. We escape to other worlds not only because they might seem better than our real lives and not only to run away. We escape because stories change us. We run away so we can come back as better people. How does Milo overcome his own inability to live in the moment? He becomes an escapist and dreamer, but with the right balance. His escapism informs his reality, rather than replacing it. "And yet, even as he thought of all these things, he noticed somehow that the sky was a lovely shade of blue and that one cloud had the shape of a sailing ship. The tips of the trees held pale, young buds and the leaves were a rich deep green. Outside the window, there was so much to see, and hear, and touch—walks to take, hills to climb, caterpillars to watch as they strolled through the garden. There were voices to hear and conversations to listen to in wonder, and the special smell of each day. "And, in the very room in which he sat, there were books that could take you anywhere, and things to invent, and make, and build, and break, and all the puzzle and excitement of everything he didn't know—music to play, songs to sing, and worlds to imagine and then someday make real. . . .
"'Well, I would like to make another trip,' he said, jumping to his feet; 'but I really don’t know when I'll have the time. There's just so much to do right here.'" FANTASTIC! Casey, this is great, and something I needed to hear. Thank you! I appreciate your words of wisdom and thoughts. LOVED your post. Also something I needed to hear. Thanks! Such a great post, ri really enjoyed reading it and loved your perspective!